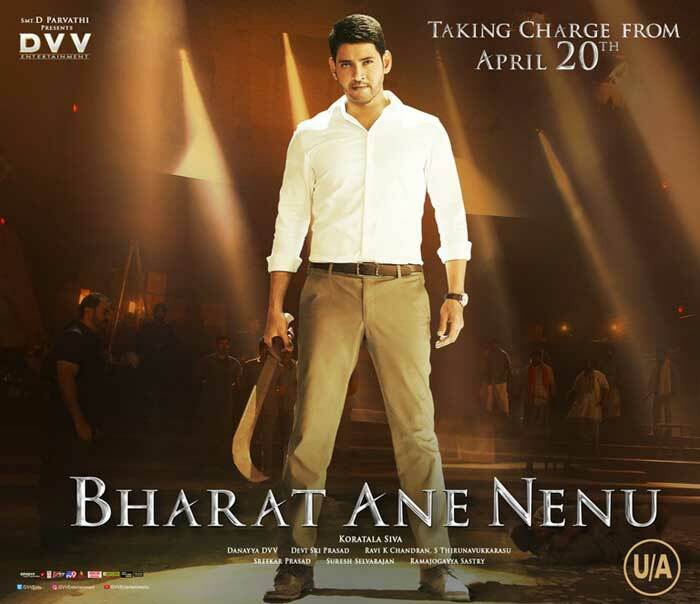 Superstar Mahesh Babu’s Bharat Ane Nenu has completed censor formalities and the film has been given U/A certificate. No cuts were recommended for the film, since it has no objectionable scenes. With this, BAN has completed all the hurdles to release worldwide grandly on April 20th with premiere shows on 19th in USA. As per inner sources, BAN is an honest attempt from director Koratala Siva who has aptly shown his views about current political system. The movie will have 3 to 4 outstanding episodes which will haunt even after coming out of theaters. Overall, BAN is said to be a wholesome entertainer with a good message and it can be watched happily with all family members. Kiara Advani played leading lady in Bharat Ane Nenu that has music by Devi Sri Prasad. Prospects are quite high on the film which has done remarkable pre-release business. Let’s hope it will reach all the expectations.